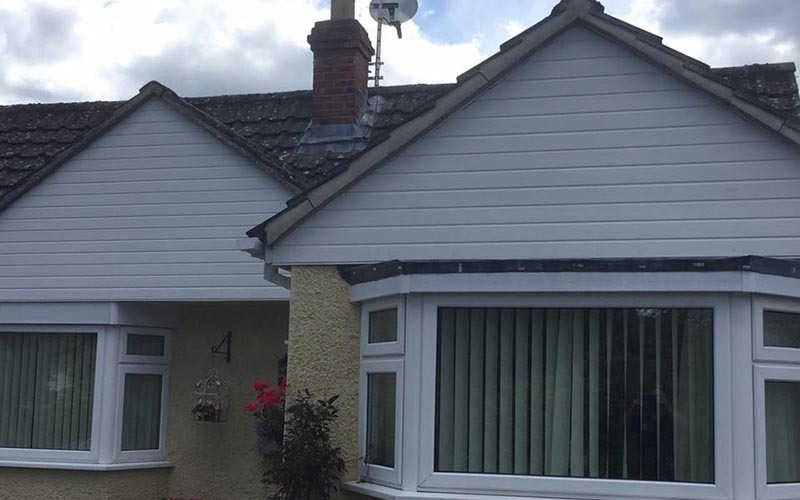 Cladding is often found on the front of your property and covers large areas left open to the elements it can quickly change from a bright clean white to a dull miserable green. Here at 1st glass window cleaning we can transform your property frontage and bring it back to life giving it that nice fresh look that we all want and deserve showing your property of to its best. Are you looking for cladding cleaning services in Thatcham, Newbury? 1st Glass Window Cleaning can clean the cladding on the exterior of your building. The front of your home or commercial premises speaks volumes about you. 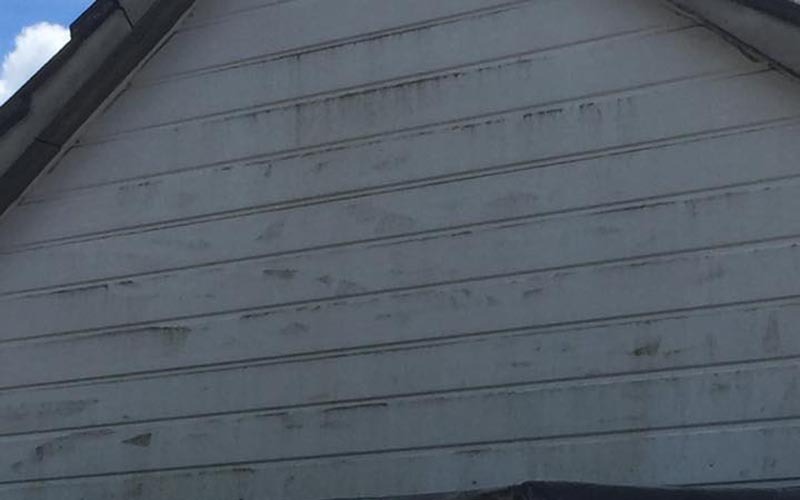 For a home owner, dirty cladding can make your home look unwelcoming and unsightly to visitors. The same goes for commercial premises. If the cladding on the exterior of your shop, office or warehouse is dirty it will show your business off in a bad light to any visitors, especially if you are street facing. A dirty and unkempt building does not give your customers the best impression and can, as a result, be bad for business. Commercial cladding cleaning can give the exterior of your commercial building a face-lift and help it look like new again. 1st Glass Window Cleaning’s experienced cladding cleaners are able to provide a one off deep clean to your cladding or a regular contract clean to ensure your building keeps its ‘kerb appeal’ and doesn’t let you down in front of your customers. You want your building to look clean and inviting to visitors. If your cladding is looking in need of a clean then call 1st Glass Window Cleaning today to see what our commercial cladding cleaners can do for you. As well as commercial cladding cleaning, 1st Glass Window Cleaning can provide cladding cleaning services to residential home owners. Our staff have many years experience in cladding cleaning and our local reputation speaks for itself, with many customers returning for our cladding cleaning services time after time. If you are looking for the best cladding cleaning service then you have come to the right place. We are able to reach cladding above the ground floor by using our reach and wash poles. This means we can clean your cladding without the use of ladders, which also has the added bonus of us being able to clean your cladding in a safe and effective way from the safety of the ground. Your building will not get damaged from heavy ladders being leaned up against your property, the same goes for any roof tiles. 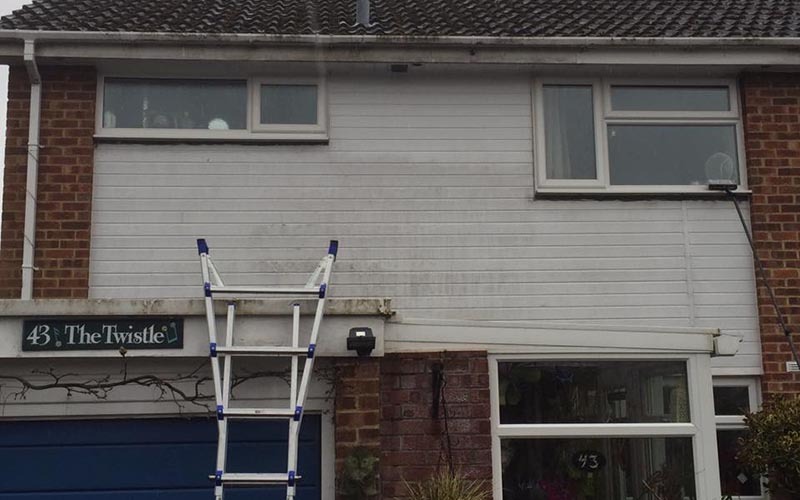 So, if you are looking for a local, reliable cladding cleaning company in Thatcham, Newbury and the surrounding areas then get in touch today. We can give you an estimate over the phone or we can come out to your home and give an accurate quote after we have looked at your property. You can call us on 07771 666 633, or if you would prefer to drop us a message you can simply fill out our online contact form and we will get right back to you.